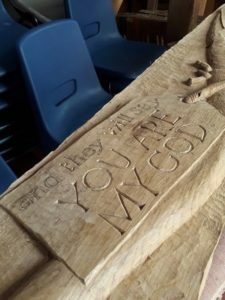 The massive cross, which was carved by the team at Steve Eggleton’s workshop over the past few months, has finally been finished. 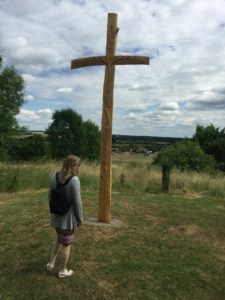 The next task was to drive it over to Redhill Christian Centre near Stratford upon Avon where the cross will form the central waystation on the Via Beata route. 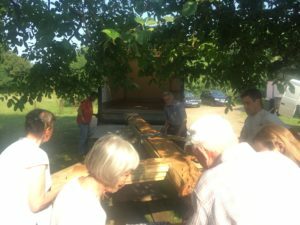 The cross was loaded and packed up the night before. 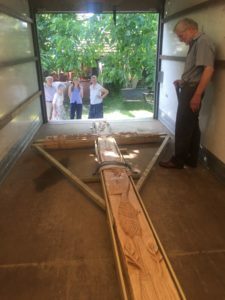 The lorry driven by Rob Comer, rolled out of the yard at Rowancroft at 6.30 am on the morning of 21st June , and after a trouble free journey, arrived at the Red Hill Centre at 9. 45 am . 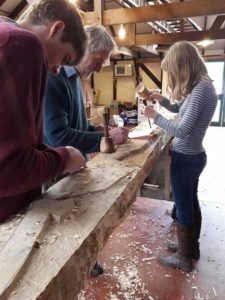 With gravity on their side, unloading was very straight forward, so after a glass of juice, a few instructions about installing it, and a prayer together, they were once again on the road, arriving home by 5.30 pm. 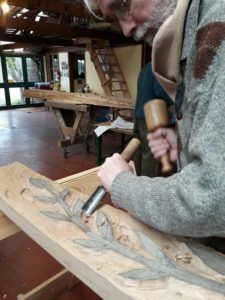 The carving is of course not a vine but a grafting on an olive tree depicting the grafting in of the gentile believers. Great news, Steve! We look forward to more way stations in our area soon!